This template may be used as you’re conducing peer review on your project in Hypothes.is. Find an editable version here. This template includes a rubric developed by BCcampus. Our thanks to the team at BCcampus. Please read through sections below, and use this as a reference as you complete your review. If you have any questions, you can email the project lead. As we strive to work openly, all contributions made to this textbook will be licensed under a CC BY 4.0 International License. You will be credited as a reviewer in the published version of the book. Please leave comments on the web version of the text using Hypothes.is, and/or provide a short memo summarising your feedback. This memo can be submitted to the project lead or review coordinator. Please also notify the lead and coordinator when you have finished making your comments in Hypothesis, if you choose to do so. 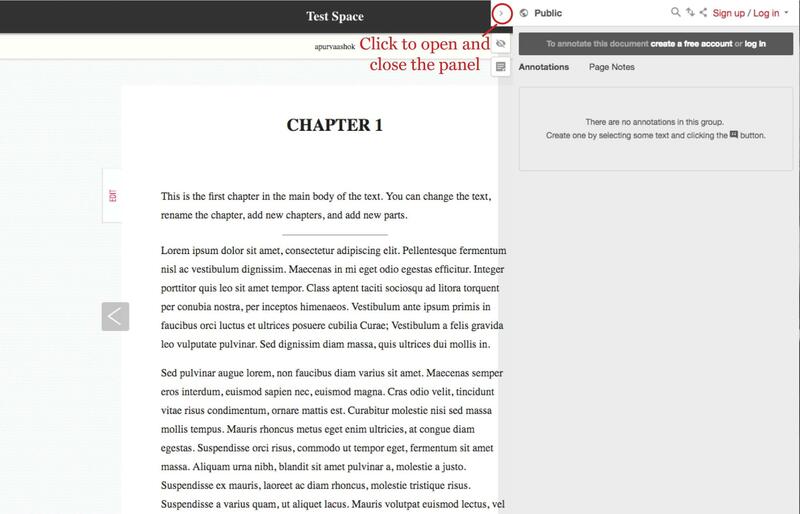 Open the chapter you are reviewing in your browser. Open the Hypothesis panel by clicking on the left arrow in the sidebar. Log in using the username and password provided by Rebus (if you have not been provided with these details please contact the project manager). By default, Hypothesis annotations are made to the Public group. For the purposes of peer review, a group called Rebus Review has been created. 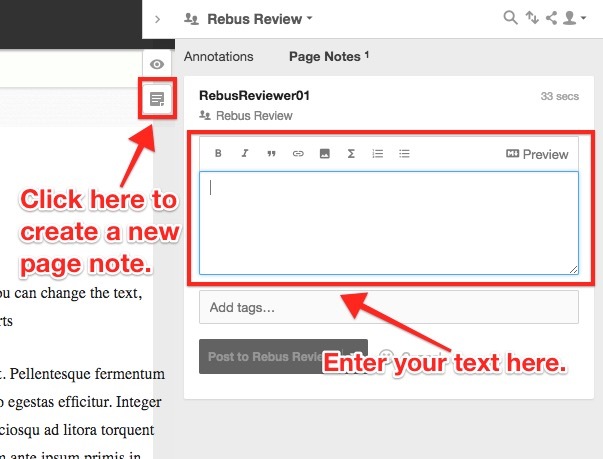 To make annotations to this group, click on the dropdown menu next to Public, and select Rebus Review. All of your annotations will now be made in this group, and will remain private. Select the text you would like to comment on or highlight. Click on Annotate to add a comment. 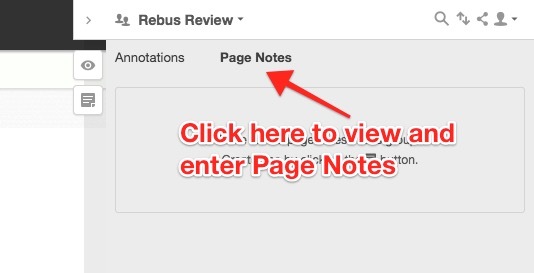 You can type in your comment and click on “Post to Rebus Review” to post it in the group. You can edit, delete, reply to or share your comment once it has been posted by using the buttons on the bottom-right of the comment box. 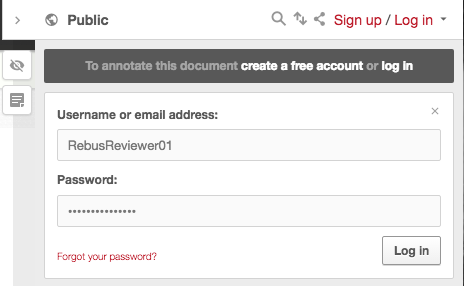 Log in to Hypothesis account using the account and password provided by Rebus, as described above, and switch to the Rebus Review group. By default, Hypothesis is set to display and enter annotations. 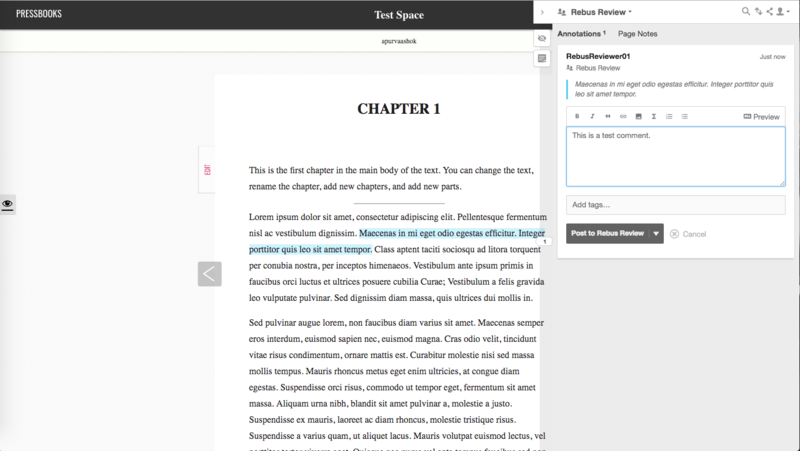 To enter a longer memo-style note, or view other notes on a particular chapter, click on Page Notes from the top menu. Click on the page icon to write your own note. 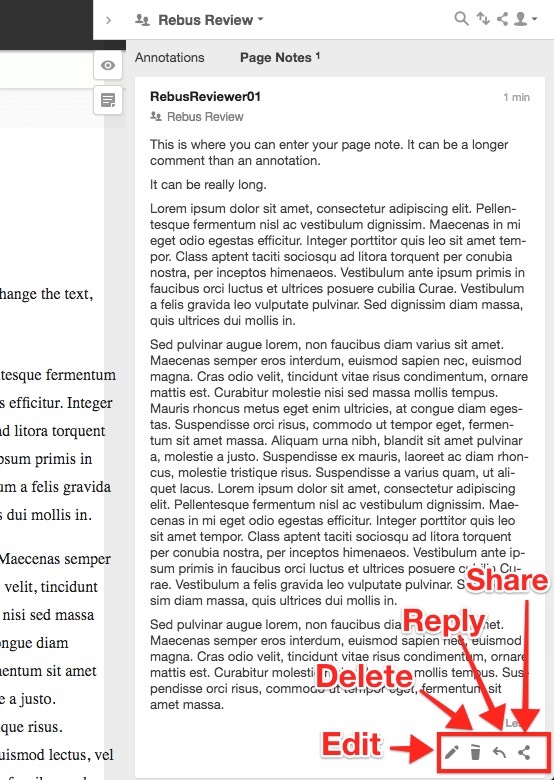 You will see a comment box pop-up, where you can type in your lengthier comments. Once you have finished typing, click on Post to Rebus Review to post your note to the group. 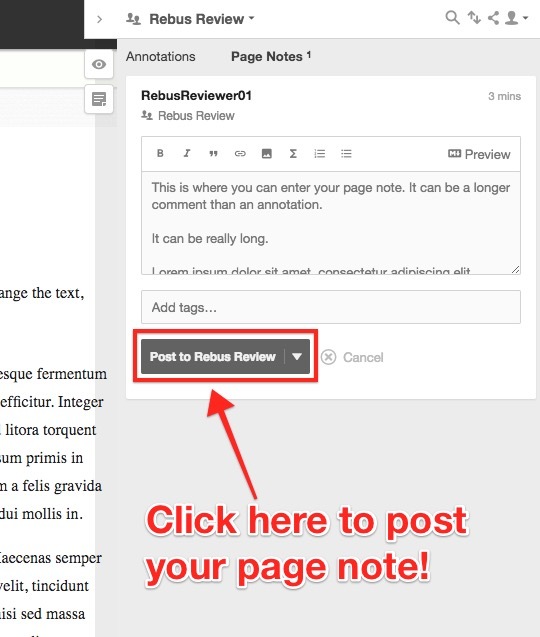 You can edit, delete, reply to, or share page notes similar to annotations!